Mew is releasing a new album, and you can win it HERE, along with other Mew merch. Lithium Magazine is giving away TWO prize packages, each containing the new Mew vinyl album, a limited edition band poster, and other assorted Mew merch. To enter, send your name and contact information to contests@lithiummagazine.com between now and May 10th. Email subject line should say “Mew Prize Pack Contest”. Two winners will drawn and contacted on May 10th to make arrangements for the prize packs to be shipped. Lithium Magazine DOES NOT use emails to spam it’s contestants. On ” +- “, Mew – Jonas Bjerre, Bo Madsen, Silas Utke Graae Jorgenson and Jonas Wohlert (recently reunited as its original four-piece with the return of bassist Wohlert) – continues to intrigue with its nuances and wonderfully skewed, off-kilter pop brilliance. “Water Slides” sees the band at its exhilarating best, one that takes an evolving, expansive journey that pushes the band’s musical boundaries. 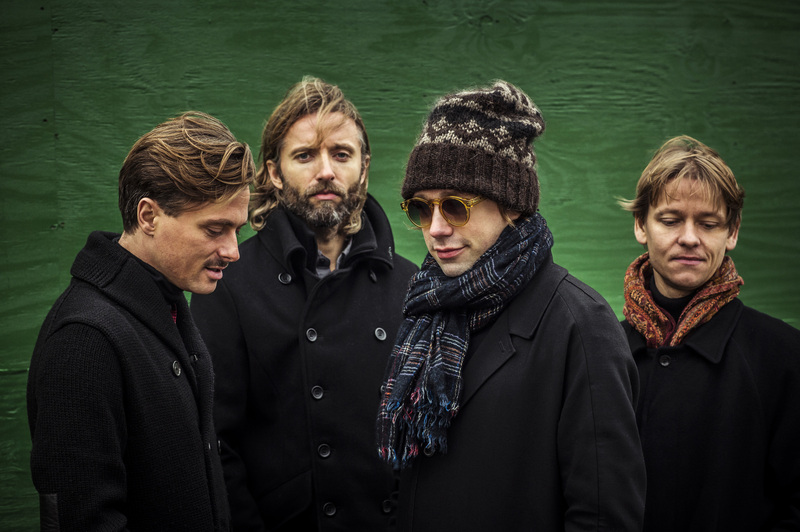 Currently on tour in Asia with a full European schedule for this summer, Mew plans to tour North America extensively beginning later this year.